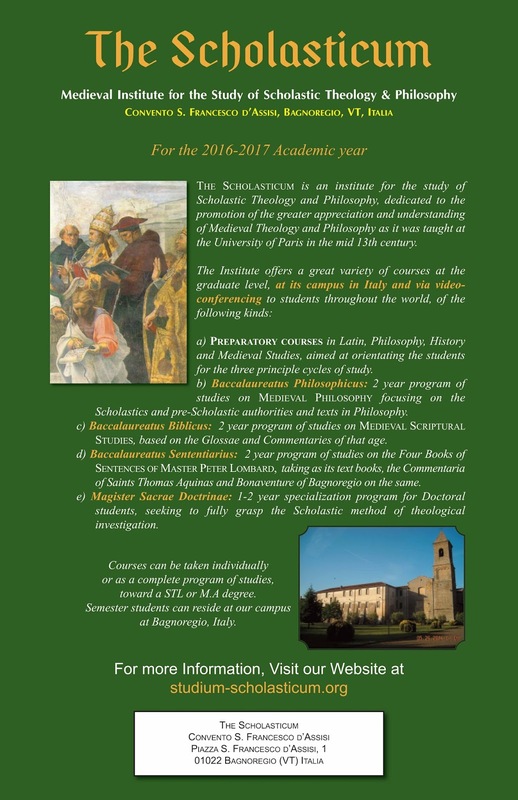 We recently receive this information about The Scholasticum, a new institute for the study of scholastic theology and philosophy which has recently been established in Bagnoregio, Italy, the native city of St Bonaventure. You can see their website at is link; https://www.studium-scholasticum.org/ Also, see the poster below. 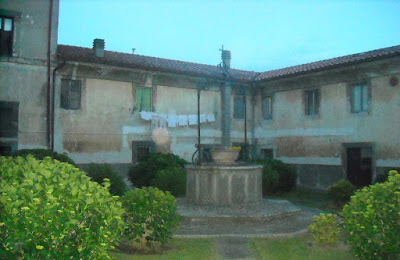 In 2009 Pope Benedict XVI, a great student and admirer of St. Bonaventure, made a pastoral visit to Bagnoregio, the saint’s hometown. On that historic visit, the Pope gave a speech about St. Bonaventure in which he invited priests “to learn from this great Doctor of the Church, to deepen their knowledge of his teaching on wisdom rooted in Christ.” Since that time, there has been renewed interest in Bagnoregio as a tourist destination. 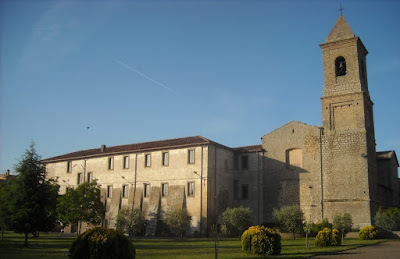 In the summer of 2016 the Scholasticum Institute, a graduate institution dedicated to the Scholastic Theology of St. Bonaventure of Bagnoregio and St. Thomas Aquinas, opened its doors in the very town where Bonaventure was raised and where Benedict XVI urged further study of the Seraphic Doctor of the Church. 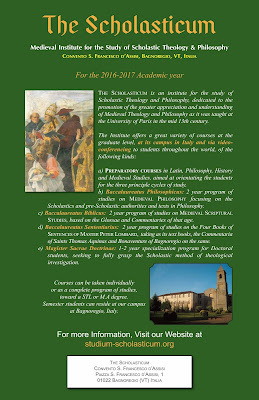 The Scholasticum is the only institute dedicated to reviving the study of Scholastic Theology in the modern world. Students can pursue graduate programs in Medieval Philosophy, Medieval Biblical Studies, and the Scholastic Theology of St. Bonaventure and St. Thomas. These three cycles of two years each will not simply teach about Scholastic Theology, rather they aim at reproducing the course of study in thirteenth-century Paris that produced St. Thomas and St. Bonaventure. Since the mastery of Latin is a prerequisite to any thorough treatment of Philosophy and Theology, the Scholasticum also offers a premier education in the language of the Church, which can be taken as a prerequisite course of study or for its own sake. While our immediate object is to study the works of the greatest minds of Scholasticism, we hope to form thinkers who will be the Thomases and Bonaventures of tomorrow. In God’s Providence, the Scholasticum has obtained a 25-year lease on the Franciscan Convent in Bagnoregio. 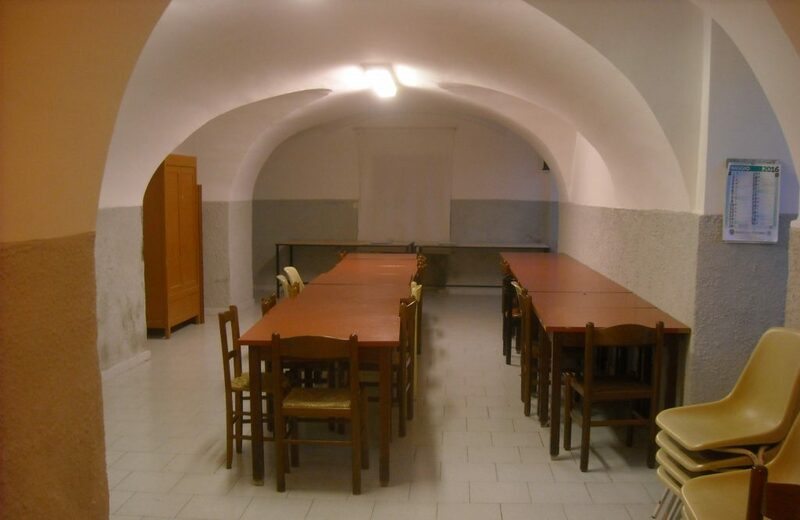 As a result, the institute can offer a world-class education with extremely inexpensive room and board for those who choose to enjoy the historic buildings, town, and landscape in residence. The institute also offers residential students a two-week special course on The Manuscript Libraries of Rome and several trips to medieval sites of special interest. One characteristic that sets Scholasticum apart is that students have the option of studying telematically (i.e., through the Internet) from anywhere in the world. 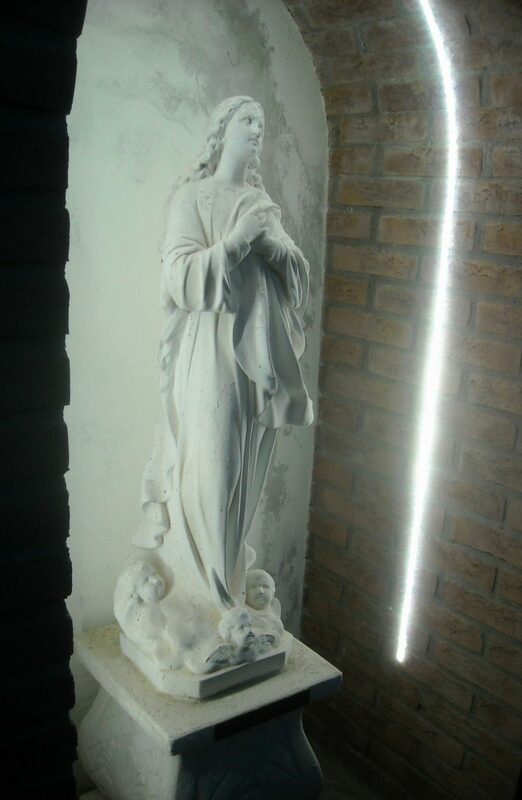 In fact, a number of the courses are taught through video conferencing by professors who are engaged in cutting-edge research related to Scholastic Theology at universities throughout North America and Western Europe. This pioneering approach to collecting expert faculty has created a concentration of youthful zeal and scholastic competency that could hardly be matched by a traditional institution. Our faculty are enthusiastic about advancing Scholastic Theology and thereby the good of the Church. They are a sign of hope for the future in an age where so much seems to have gone wrong. The time is ripe for a revival of Scholastic Theology, and students graduating from the Scholasticum will be in the best position to bring this about, for the good of the church and of the whole world. Considering the low cost and the immeasurably high value of learning to practice theology like two of the Church’s greatest theologians, St. Thomas and St. Bonaventure, the Scholasticum offers the opportunity of a lifetime, or perhaps of a millennium.